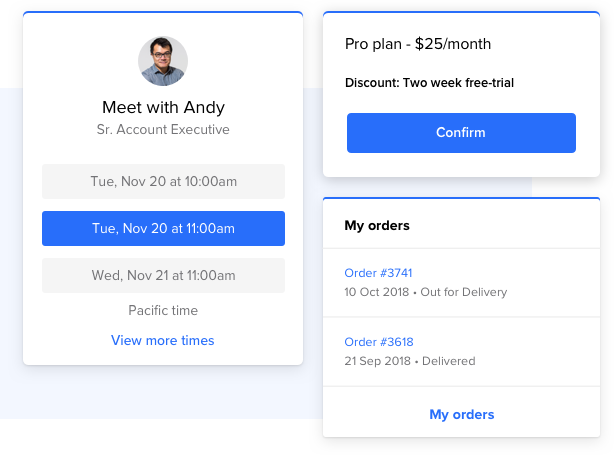 Grow faster and be personal at scale with the leading Business Messenger - a win-win for you and your customers. 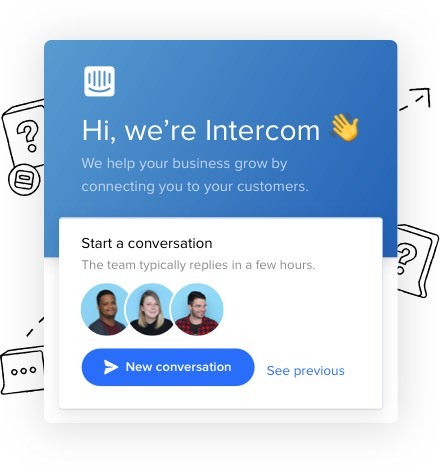 With Intercom, we've seen 30% revenue growth quarter over quarter. We're rolling it out across the entire customer lifecycle. 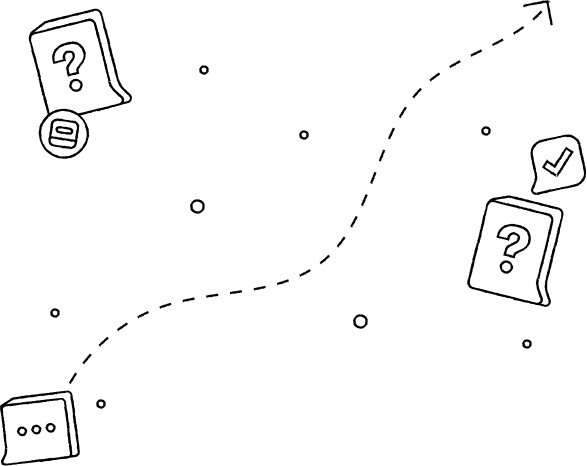 Engage customers at the exact moment they're ready to buy - on your website or in your app. Scale your team's capacity without increasing overhead with powerful workflow automations. 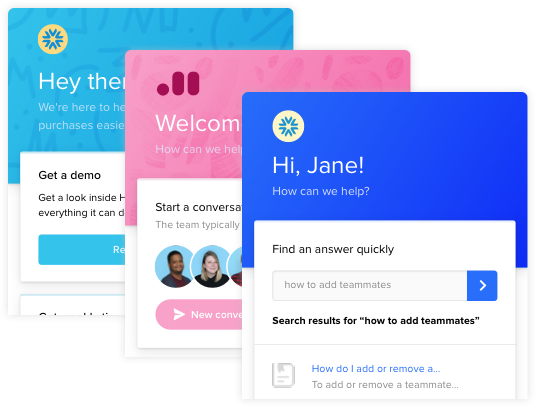 Let bots do work for you, like qualifying leads, booking meetings and answering questions automatically. 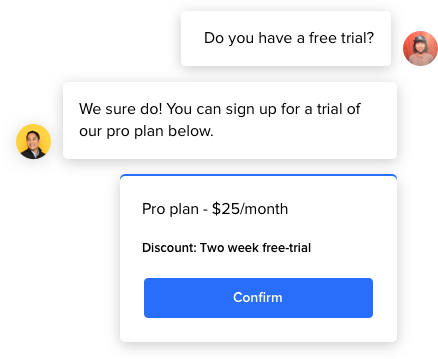 Higher conversion rate when visitors chat on your website. 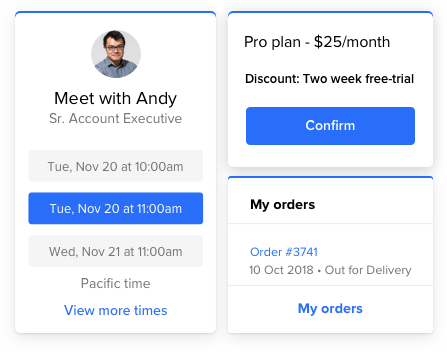 Empower customers to self-serve without having to start a conversation with Intercom's first-of-its-kind home screen. Give customers personal, respectful touchpoints with your brand through messaging, a medium they use all day. 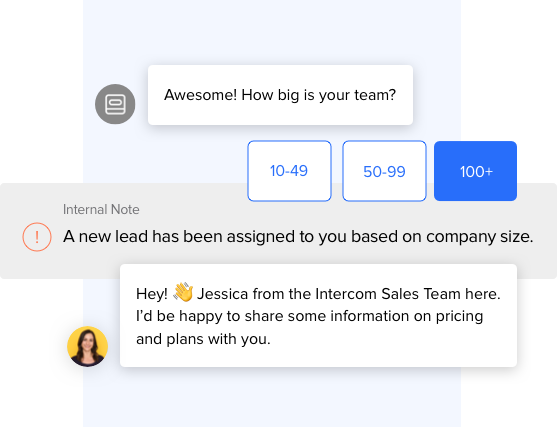 With Intercom's Messenger our customer satisfaction scores have improved by 5% and our inbound conversation volume has decreased by 25% because customers can answer common questions on their own. 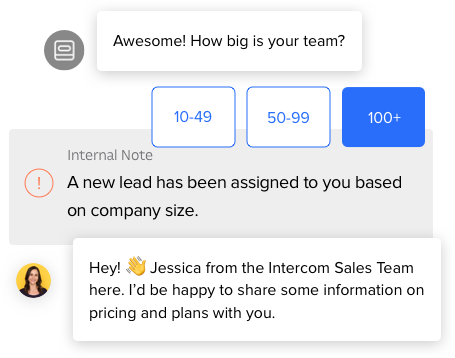 Intercom connects your tools and teams so you can communicate personally at scale. Provide targeted messages in context and a tailored home screen for different audiences – like leads or customers. 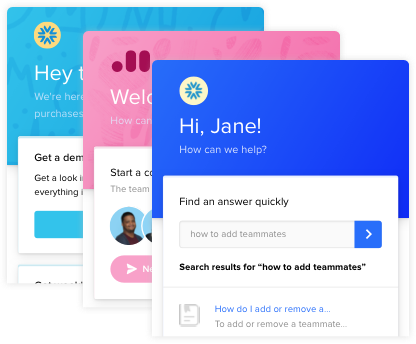 Increase leads without increasing work with bots for sales, and automatically resolve questions with bots for support. Integrate with over 100 apps, or build your own. 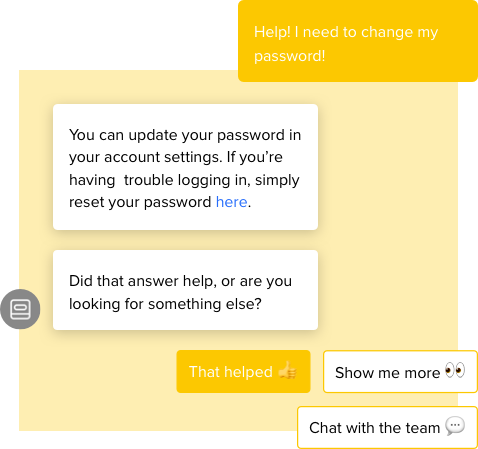 You can use them in conversations or on the Messenger home screen.